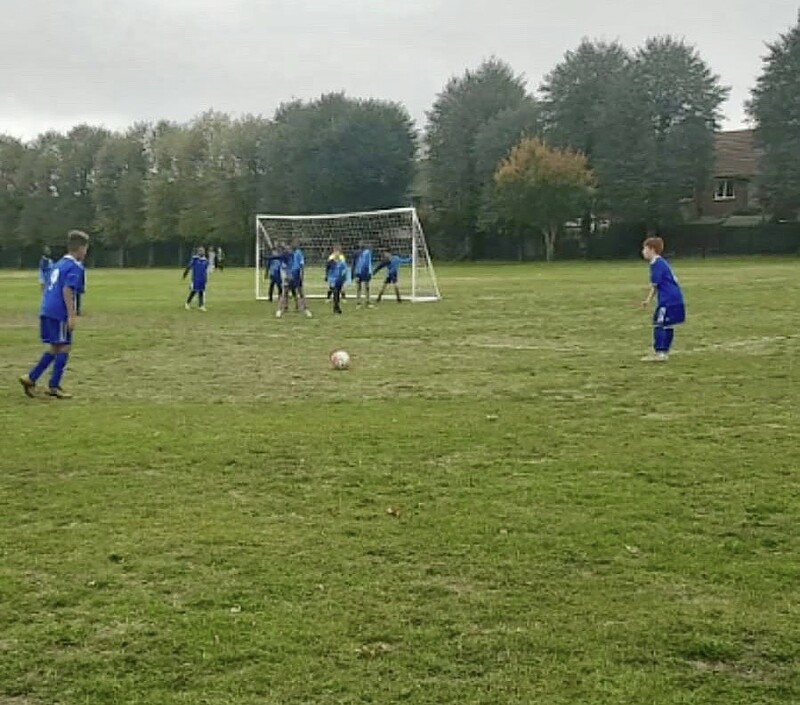 Here’s the match report for Sunday 14th Oct 2018 from Bradley Challis. Today we woke up to a wet cloudy sky with an away fixture against Euro Dagenham. With a few players missing every boy in attendance was due a good run out and were well up for it. The kick off started with the opposition and the match had begun, the Gatcliffe boys were pressing from the off with a sea of blue charging down the Dagenham defence. Some nice passing which has been worked on in training was evident and we were looking good. The defence were holding a high line and keeping the play up the pitch. Gatcliffe got a break and a well controlled low shot to the bottom right of the goal gave us the early lead. Euro Dagenham came back and began to push up leaving space behind which should of worked in our favour. 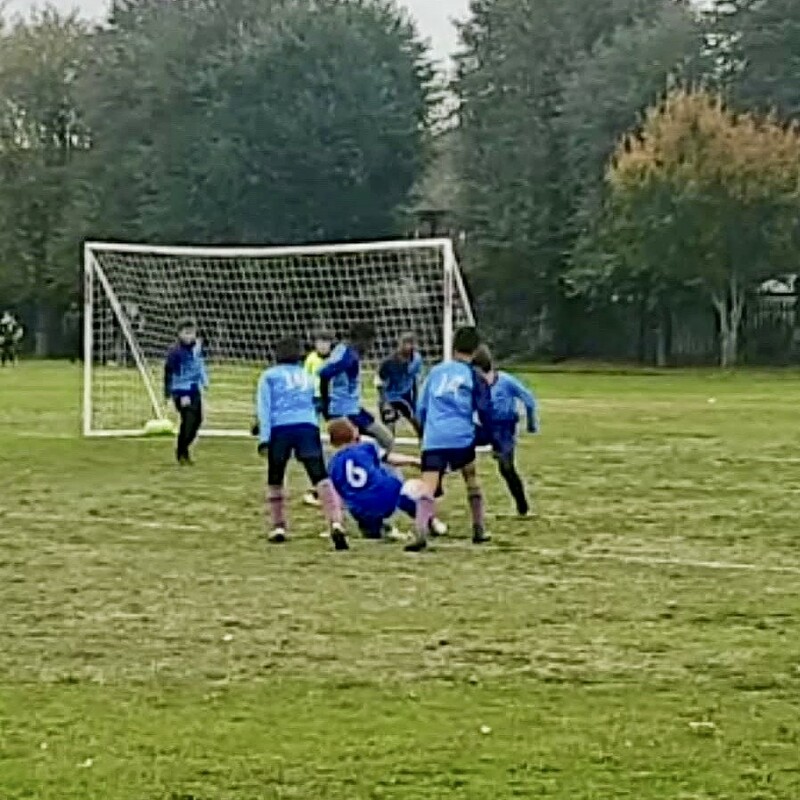 The opposition got a corner and as the ball was crossed in struck a Gatcliffe player on the forearm and they received a penalty much to the disappointment of the leading team. The penalty was well taken and the score was level. Play resumed and still upset from the penalty decision the boys began to fall out of positions leaving space all over the pitch. Euro Dagenham still the lesser off the two teams continued to play their game and took advantage of this scoring a further two which only frustrated us even more. Coming in at halftime the boys had to be calmed down so we were ready to go again. Whilst we were composed we were by far the better team regardless of the current score line. With the boys now calm we started the second half as we did the first holding our positions and pressing forward. We were soon rewarded with a goal nicely taken in the box slotted in the side of the net. With only one goal separating the teams we were certainly still in the match. Euro Dagenham knew that we were starting to get the better of them again and a few miss timed challenges started to go in which we’re going unnoticed by the home teams referee. The boys took the bait and began to argue challenges and every decision the ref made, which to be honest weren’t the best. The game soon switched around and again we were now playing against the team and their ref which gave Euro Dagenham the opportunity to score another which had now sealed the home win. All in all today we were the better team but we came away without the points. Sometimes decisions go against us and we get upset but the referee is the man in charge and what he says goes this is the rules whether we agree or not. The boys showed glimpses of excellence today but also showed a side that we do need to work on and that’s our composure during times of upset. Well done boys was a tough test today and one that we will certainly learn from 👍 Brad. The next match is Sun 21st Oct 10.30 kickoff against Colebrook Royals at Parsloes Park. More on Facebook. Next Post:New book: The Isle of Dogs – before the big money.